Communication, you maintain, is crucial to successful interdisciplinary research, and we couldn’t agree more. We believe that interdisciplinary collaborators should develop “constructive dialogue skills” that support trust, mutual learning, respectful deliberation, equality, and efficient knowledge transfer. Without these, collaborators will be hard pressed to achieve the integration of perspectives required to address complex problems. However, while the trial and error approach to fostering constructive dialogue may work for some groups (see Nature 525, 315–317; 2015), interdisciplinary collaborations typically involve busy people engaging in complex interactions who don’t have time to wait for the communicative magic to happen. Facilitated approaches to communication—specifically to constructive dialogue—can systematically reduce interdisciplinary transaction costs, enabling collaborators to appreciate alternative research perspectives, understand the distribution of values across an interdisciplinary project, and develop integrative research questions and project goals (see McDonald et al. Research Integration Using Dialogue Methods, ANU ePress, 2009). We are part of a US-NSF-supported interdisciplinary team that has developed a philosophical approach to facilitating constructive dialogue. 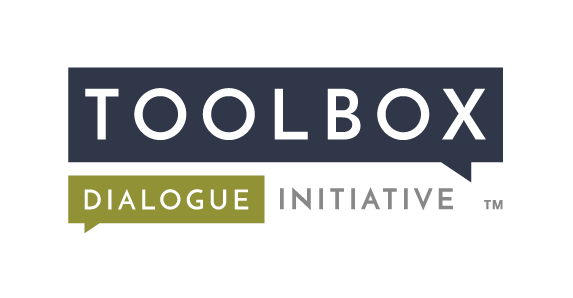 Combining concepts drawn from the philosophy of science and epistemology with mixed methods social science, our “Toolbox” approach is built around structured dialogue in which collaborators articulate and share their scientific research worldviews (see M. O’Rourke & S. Crowley Synthese. 190, 1937-1954; 2013). In over 160 workshops during the past 10 years, we have deployed the Toolbox approach to increase the self-awareness and mutual understanding needed for team cohesion and effective communication. Our experience supports two conclusions: (1) interdisciplinary teams can systematically and efficiently develop the skills of constructive dialogue by utilizing dialogue-based methods from the outset, and (2) the humanities and social sciences can contribute to the intellectual merit of interdisciplinary science, participating in “genuine” disciplinary integration that is to everyone’s benefit (see Nature 525, 291; 2015).